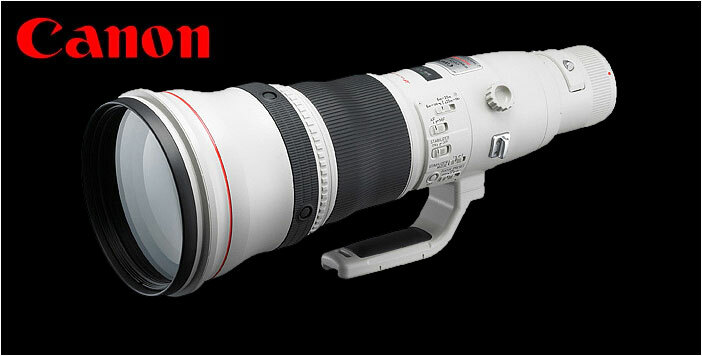 Once Canon releases the long awaited EF 200-400mm f/4L IS 1.4X lens some time in the second half of 2013, they are expected to turn their attention to the EF 800mm f/5.6L IS replacement. Although the lens is only about 5 years old, the recent release of the Series II Super telephoto lenses is a big hit, especially with the weight reduction. Canon may be ready to take advantage of the lighter weight technology and come out with a Series II model of their current 800mm lens, which is the heavy weight champion right now, coming in at almost 10 pounds. The EF 800mm works well with the 1.4X and 2.0X extenders so no built-in extender is expected on the new lens, unlike the EF 200-400mm. Besides, it will add weight and cost to an already expensive lens. This lens is on a limited production run so inventory stocks around the world should not be a problem even though it was released only a 'short' time ago, by Super telephoto lens' standard. At the very least, Canon may announce the development of a replacement just to generate buzz and attention.